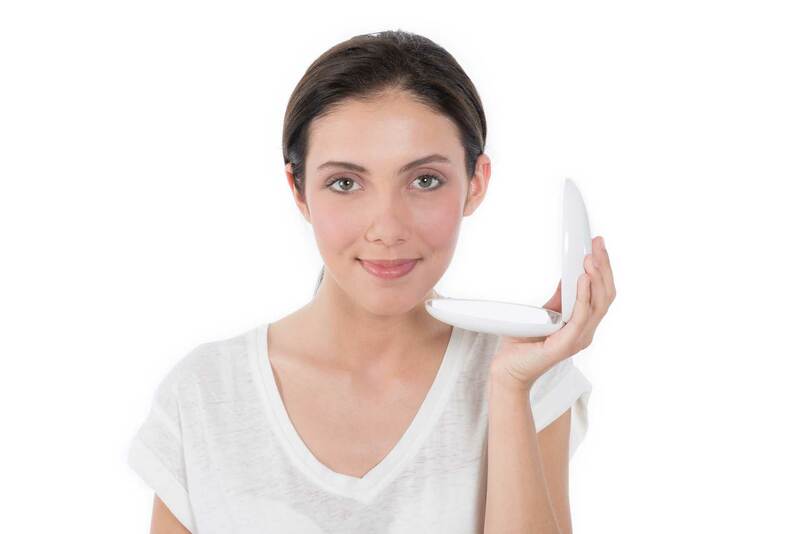 SPOTLIGHT is a real innovation to clear acne and help prevent future breakouts. Photomodulation improves skin over the long term, removing or making acne scars lighter, and thus without pain. Combined action of red and blue lights will have a direct impact on acne, yet preserving skin from side effects. While blue light works by killing acne bacteria, red light penetrates more deeply into the skin to reduce the production of inflammatory molecules and eliminate excess sebum. Acne : To treat or alleviate skin rashes more commonly known as acne. Comedonal acne : To treat inflammatory skin raches. Regeneration : To reduce skin imperfections resulting from pimples. SPOTLIGHT device received a medical certification. In just 3 treatments per week, reduce skin imperfections, achieving luminous skin. Apply acne or comedonal acne treatment during 3 months, then complete with the regeneration treatment to reduce acne scars and maintain a uniform complexion. Skin is visibly healther and restored. Acne : pimples and imperfections. Comedonal acne: excess of sebum and blackheads. SPOTLIGHT skin cares are compatible with all skin types (sensitive, white, suntanned, black..). HOW TO USE SPOTLIGHT DEVICE ? Use UP or DOWN to select desired treatment (regeneration, Comedonal Acne or acne). Place the device following the treatment parameters (the device should be placed at 1 or 10 cm from the treatment area, depending the protocol used).